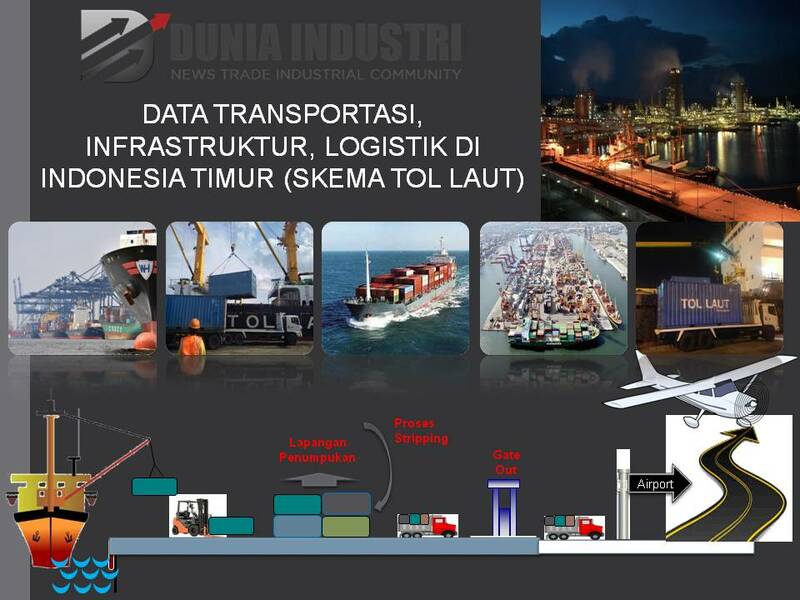 Transportation, Infrastructure and Logistics Data in East Indonesia (Sea Toll Scheme) was released late September 2017 showing data, tables and infographics related to the development of transportation, infrastructure and logistics with the focus of sea toll schemes period 2015-2017. Presented in tables and interesting infographics, this data is expected to be useful for industry actors and related stakeholders. Some of the main points on which sea toll elements are spelled out on page 12. Subsequently, the route network of sea freight (budget tolls) for fiscal year 2017 on page 13. Also described 13 sea toll routes (42 seaports), complete with distance (nautical mill), round voyage voyages, and their frequency. The data is reinforced by the shipping scheme to eastern Indonesia on pages 14 & 15. Comparative cost of domestic marine transportation and logistics between private parties and sea toll schemes is presented on page 16, so it can be an accurate reference. The integration scheme between sea tolls and air distribution is one of the alternatives in eastern Indonesia, as shown on page 17. On page 18, 10 tables of regional priority ports are complete with operational schedules and supporting infrastructure. On page 25 & 26 there is a budget allocation for infrastructure development in Indonesia in 2016 with a total of Rp 959 trillion. Then, other related infrastructure data such as roads, airports, railways, coastal shipping, Trans Sumatera toll roads, and urban railway development are reviewed on pages 25 to 42.